In September of 2016, the Governor of California approved Senate Bill 840 (SB 840). 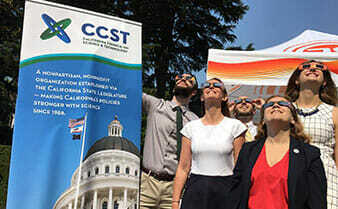 In SB 840, the legislature requested the California Council on Science and Technology (CCST) conduct a study analyzing regional and gas-corporation-specific issues relating to the minimum heating value and maximum siloxane specifications for biomethane addition to the common-carrier gas pipeline (Senate Bill 840, 2016). The study resulting from SB 840 would discover and analyze available information that could objectively resolve the barriers to the economic development of biomethane while also considering the health, safety, and pipeline integrity concerns existing among stakeholders. The characteristics of various sources of biomethane and the distinctions between biogas, natural gas, and biomethane. The rationale for existing and previous regulations of gas heating value, interchangeability, and siloxane content, as well as the gas quality specifications set forth by other states and gas companies, as compared to current California regulations. The technical rationale for the minimum heating value specifications, including the impacts of those specifications on the cost, volume of biomethane sold, equipment operation, and safety of end users. The scientific evidence justifying a maximum siloxane specification as well as topics concerning siloxane removal, potential human health impacts, and standard method development for measurement of siloxane compounds. 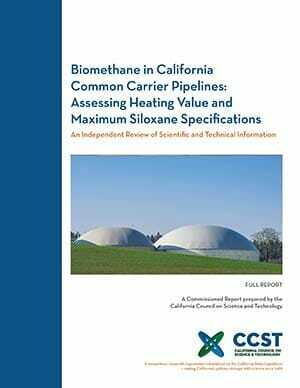 The impacts of minimum HV and maximum siloxane specifications on the cost to produce biomethane for pipeline addition in California. The potential dilution of biomethane before and after it is injected into the pipeline. The regional- and gas-corporation-specific concerns that may arise in widespread biomethane deployment scenarios.